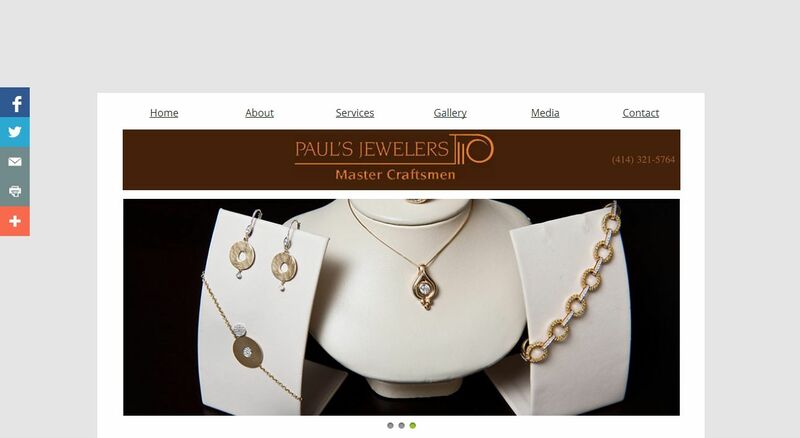 Paul’s Jewelers address, phone, website, hours of operation, and more. Vivian Paul Anton designs and crafts precious metals and jewels into exclusive pieces of art for her own line, ‘Paraskevi.’ Her works have graced runways and fashion magazines and been commissioned by actors, athletes, and major institutions domestically and around the world. Formally trained for her post graduate work at the Gemological Institute of America Los Angeles, Ca. and New York City in Jewelry Arts Design, Goldsmithing and Graduate Gemology, Vivian also holds a Bachelors of Science double majoring in Secondary Education, and Art History/Art Metals. From Milwaukee to New York City, Chicago, Los Angeles and as far away as Athens, Greece, Vivian’s work has been commissioned privately for purchase and publicly for exhibition. It has been featured in publications including Elle, Vogue, Harper’s Bazaar, Mademoiselle, Bride, Women’s Wear Daily and many more. Her pieces have been showcased at art gallery exhibits, retail establishments, bridal and jewelry shows and countless charity events throughout the country. Vivian presently operates her own retail jewelry business as President of Paul’s Jewelers, located in Milwaukee where she designs, creates, appraises precious pieces and does heirloom work for customers from all walks of life. Just a few who have her work include Bravo TV Reality star Ms. Jenny Pulos, Olympic Diver Christina Loukas, Miss Wisconsin USA, Alex Wehrley and ‘Greek Wedding’ star, Nia Vardalos. Vivian’s custom designs were also just placed at the newly appointed National Hellenic Museum in Chicago.